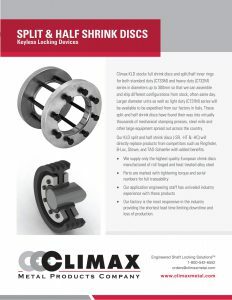 Climax stocks full shrink discs and split/half inner rings for both standard duty (C733M) and heavy duty (C732M) series in diameters up to 300mm, allowing Climax to assemble and ship different configurations from stock to suit your application needs. KLD Engineers can be reached at 1-800-542-6552 to assist with all your keyless locking device needs. Climax Keyless Locking Devices are used in a variety of applications. 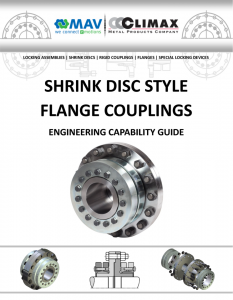 Our Engineering Capability brochure indicates several situations where a KLD is ideal. 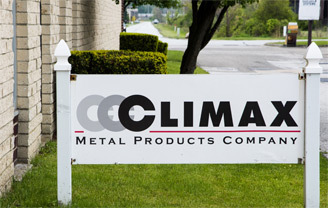 For questions regarding our Keyless Locking Devices contact Climax Customer Service at 1-800-542-6552.